Until the end of January, George Street Bar and Grill (130 George Street) offers the Bubbly Brunch: two brunch items and two glasses of Prosecco for £19.95 per couple. At The Caledonian (Princes Street), you can enjoy the St Mary’s School Choir with Afternoon Tea on Thu 5 Dec, 4pm. At The Balmoral Hotel (1 Princes Street) there are various festive dining treats to be had at Hadrian’s Brasserie, their Number One restaurant and Afternoon Tea at Palm Court, while at the Apex (23–25 Waterloo Place), there’s afternoon tea for two in Elliot’s Restaurant. At steak restaurant Kyloe (1–3 Rutland Street), they have festive lunch (£28) and dinner (£35) menus from Thu 28 Nov–Mon 23 Dec, with their Christmas Cracker lunch (£23) and dinners (£28) happening throughout December (Mon–Wed). At the Scottish National Gallery of Modern Art, Cafe Modern Two (75 Belford Road) is putting on a two-course lunch with wine, and a ticket to its JD Fergusson exhibition from Sat 30 Nov–Fri 31 Jan, £20 per person. At Cafés Modern One & Two there is the Winter Warmer Cream Tea Special available until the end of January, at £5.50 per person. The Sheraton Grand Hotel and Spa has some top festive dining at One Square (1 Festival Square) available between Mon 9 Dec and Christmas Eve, featuring a two-course lunch for £22 and a three-course dinner for £28. And at the Hilton Edinburgh Grosvenor (Grosvenor Street), there are Christmas Party Nights throughout December, plus a Christmas Day Carvery with a visit from Santa and a Hogmanay Ball. The Royal McGregor (154 High Street) is offering a Christmas menu and whisky tasting for £15–£35 between Mon 2–Tue 24 Dec, while The Surgeon’s Hall (Nicolson Street) invites you to personalise your Christmas party. 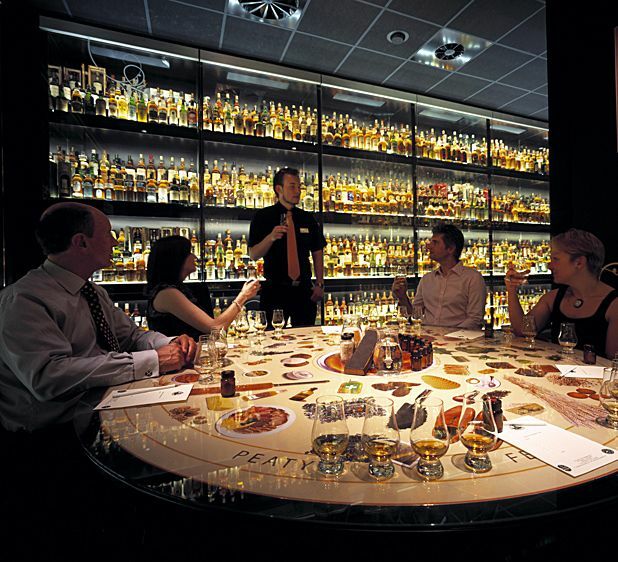 The Whiski Rooms (4, 6 & 7 North Bank Street) have an array of tasting sessions through the season for gin, chocolate and whisky, plus you could get ahead of the crowd to book up your Burns Night Supper on Sat 25 Jan.
Broadsheet Bistro (12–26 St Giles Street) has Christmas lunches at £29.95 and dinners at £34.95 including arrival drink and four-course meal and at Gran Caffè in the Signet Library (Parliament Square), you can get the Winter Warmer Cream Tea Special until the end of January, at £5.50 per person.